Where are the herds in April? 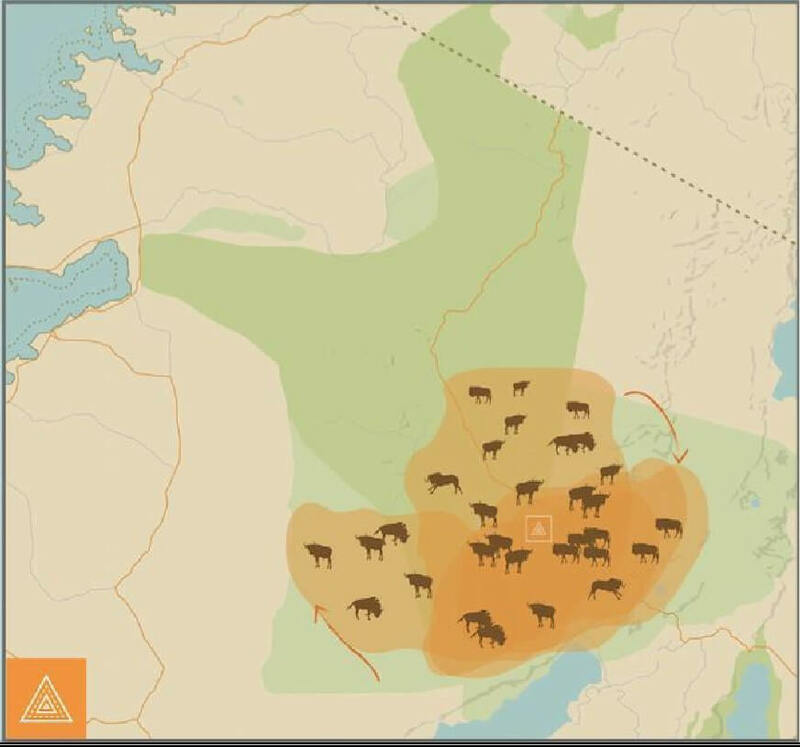 Although rainfall can make the herds spread out a bit, the migration in April is fairly similar to the previous few months. 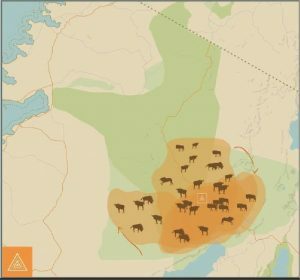 You will most likely not catch calving season, but most of the wildebeest will linger around the southern plains of Kusini and Ndutu as they do in March. 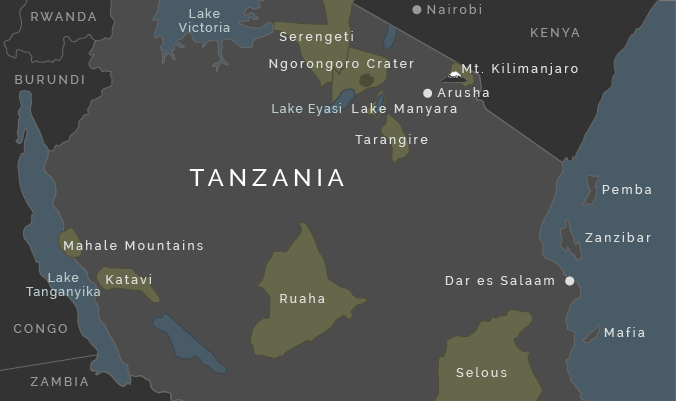 Although some would have dispersed to the east, west and a little bit north, many will still be in the Ndutu region. As you can tell, as the rains come the wildebeest’s movements can be difficult to predict. 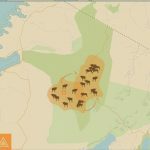 Therefore we would suggest staying south, as we know they have a tendency to linger throughout the month, but we don’t know exactly which particular direction the big herds will head to! Is April a good time to see the Great Migration? 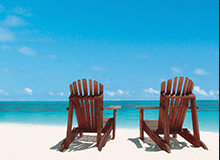 If you don’t mind getting a bit wet and want to save on some of our favourite lodges, then yes! 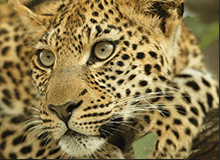 Ndutu region has exceptional resident cats, and it can get busy in the peak months of January and February, but in April the Serengeti is like a ghost town. This means if you don’t mind getting a bit wet occasionally, you can have an exceptional slice of African wilderness all to yourself, which is very special. The rains bring dramatic clouds, lightening and dramatic sunsets… Oh, and you can stay in some of our favourite camps for a fraction of the price they are in high season. We would recommend travelling at this time if you don’t mind getting wet, love exceptional value for money, dramatic scenery and some excellent wildlife viewing. So, where should I stay to get the best chance of catching the herds in April? Stay in Ndutu throughout the month as the wildebeest do linger, even if most have pushed east, west and north. 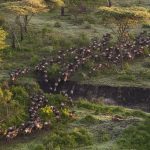 Throughout the month, if you would like the best chance of seeing the Migration then combine Ndutu with an area of the central Serengeti as you would in late March. Also, many mobile camps close at this time, so most of your options are located in the central area of the park where the camps are permanent and thus have a more rigid structure to weather the storm. 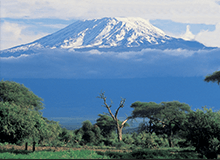 Which camps to stay at for an April Serengeti safari in Ndutu? Serengeti Safari Camp ($725 pppn) – An office favourite. Moving between 3 locations throughout the year and with 2 mobile camps, Nomad Tanzania’s passion of exceptional safaris shines through in everything they do… Safari mad but without compromising on quality one little bit, Serengeti Safari Camp is unbeatable for an authentic Serengeti safari. At this time of year, it is also exceptionally good value for money. Serengeti Under Canvas ($885 pppn) – The most glamorous of the Serengeti’s mobile tented camps, &beyond’s Serengeti Under Canvas is tented luxury at it’s finest. 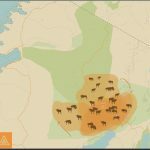 It is in the Ndutu plains in this month, and is thus well located to catch the herds which linger from calving season. A great choice if you are a sucker for luxury but don’t want to fork out a huge amount of cash (comparably to other times of year!). Kiota ($325 pppn). This is an exceptional value property. Located in Seronera, with amazing views of the surrounding plains, it is very well positioned for the excellent central Serengeti resident wildlife. 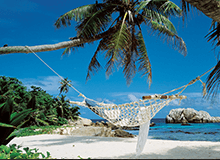 It is very comfortable with lovely staff and a very welcoming atmosphere.